The Supreme Court on Thursday fixed for hearing a review petition over the court's decision to overturn Aasia Bibi's conviction in a blasphemy case. Chief Justice Asif Saeed Khosa will head the three-member bench, comprising Justice Qazi Faez Isa and Justice Mazhar Alam Khan Miankhel, that will hear the review petition — filed by Qari Muhammad Salaam — next week on Tuesday. On October 30, 2018, the apex court had acquitted Aasia, a Christian mother condemned to death on blasphemy charges, accepting her appeal against her sentencing. "Keeping in mind the evidence produced by the prosecution against the alleged blasphemy committed by the appellant, the prosecution has categorically failed to prove its case beyond reasonable doubt," the then chief justice Mian Saqib Nisar had written in the verdict. The acquittal had sparked three-day-long mass protests led by the Tehreek-i-Labbaik Pakistan (TLP). The protests were called off after the religio-political party reached an agreement with the government, the foremost condition of which was the placement of Aasia's name on the Exit Control List. The government, however, had only agreed to "initiate the legal process" to place her name on the list, while also agreeing that it would not oppose any review petitions being filed against the SC judgement. 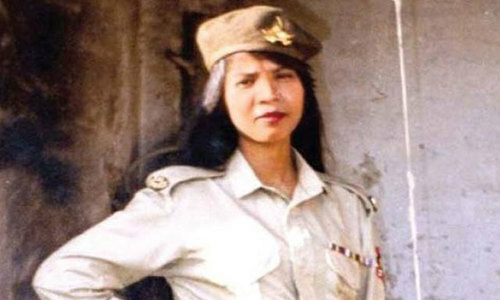 After her release from Multan’s women prison on November 7, Aasia Bibi was flown to Islamabad onboard a special aircraft. She was then taken to an undisclosed place amid tight security. Authorities have remained tightlipped about her movement and whereabouts for security reasons. Qari Salaam filed the review petition in the case on November 1, 2018 at the Lahore registry of the apex court, urging the SC to reconsider its decision. The petitioner had also sought the placement of Aasia's name on the Exit Control List (ECL) till the judgement is reviewed. In the petition, it has been argued that the Supreme Court of Pakistan's acquittal of Aasia Bibi did not meet the standards of jurisprudence as well as Islamic provisions and the "normal principle of justice with reference to application in blasphemy laws". 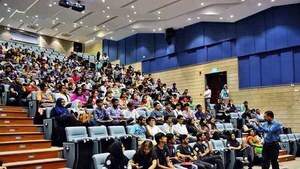 It has also asked whether the Supreme Court of Pakistan was bound to take into consideration "the nature of the case" and consider all the technical faults in it — especially the inordinate delay in the filing of the First Information Report, the defective investigation — and let them become "a hurdle in the dispensation of justice, in view of the application of blasphemy laws read with judgments of the superior courts". It has further asked that a member of the Appellate Shariat Court be included in the bench that reviews the judgement "because this matter needs detailed in-depth consideration and due to the peculiar circumstances of the case as well as Application of Section 295-C in its time letter and spirit". It has also challenged the Supreme Court's dismissal of the alleged 'confession' that Aasia Bibi was forced to make by the people of her village and argued that the Supreme Court should have applied the Law of Evidence differently in this case. Let her breath, when there is in fact no evidence. Keep Mr. Khadim Hussain Rizvi under closed custody till the case reaches its logical conclusion. Under pressure, review petition to be considered by SCP. What is there to hear? She IS acquitted and that is FINAL. Arrest and prosecute her accusers for false complaints. They should spend at least seven years in jail..
Let her live. She has already suffered a lot. Please leave her alone and don't make a mountain out of a mole hill. Its not in favour of peace. If she's proved not guilty as has been done already then a case must be registered against the accusers. Anyone who misuses any law must be punished according to the law. Wind has been taken out of the sail of the mullahs. Don't expect much fireworks this time. Those who accused her wrongly should be locked up now. This is what is called oppression of the minority christian community. All eyes on Pakistan for Aasia issue. It is required to put her on the ECL. TLP will come on to the roads if what is promised to them not fulfilled. @SkyHawk, And punish those who accused this lady wrongly. Wishing her all the best. .
Should be denied with strong remarks. Pakistan's foreign relations will suffer if minorities are punished without any proof. Thanks for fixing date and decide the fate of this unlucky woman, if review decide to release please send her to Canada. Govt of Justin T. PM is ready to take her. Please oh please, let her go! Hasn't she suffered enough even if we consider her offence punishable? Can we not move on please? There was no conclusive, beyond doubt evidence that prosecution could offer! Listen to the appellant carefully. Then throw the appeal out and arrest him for wasting the court's time and abusing the blasphemy laws. Make an example out of this one man so that the mullahs finally realise that they don't own this land. 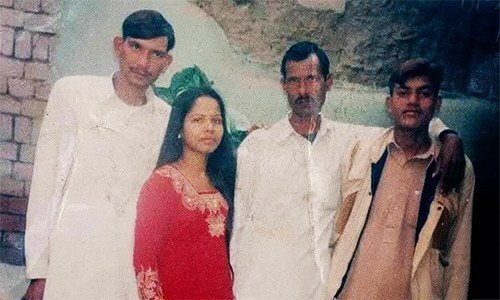 Asia Bibi has suffered enough due to wrong accusations and some ignorant people in the country. Hopefully, the previous verdict will be upheld and Asia will have a beautiful, peaceful life. All of Pakistan is with you Asia! @Gordon D. Walker, why do you try so hard to tell everyone you are from Canada? Now IK is expecting to Pakistan to become a major tourist destination. This country is being destroyed by Mullahism. Justice Khosa will review his own verdict. It will be very interesting if he overturns his own decision. Revenge has no place in Islam. When our Mullahs will learn the true essence of Islam? @Gordon D. Walker, Noting the frequency of your comments on dawn, I am thrilled to see that you follow the news from pakistan with keen interest. Stay blessed. She already left the country. The woman has suffered enough please apply common sense as per Islamic rules and free her from this misery and arrest the mulah concerned. SC should release this innocent woman and put this Qari in the jail. The courts must continue to perform and deliver justice without favor or fear and if this trend is allowed to continue, I am sure the people will repose their trust and confidence in their courts and gradually Pakistani society will be free from the clutches of injustices and unfairness. The courts should not be swayed by public opinions and perceptions created in the media and should follow the dictates of law enshrined in the constitution of Pakistan. Please let her go. She has already suffered a much. For SC to agree to reconsider a case that it has already decide is ridiculous. Doesn't the court has anything else to do?